Formulated to aid connective tissue and joint care, it can also benefit sports men and women before and after exercise, with a fresh and pleasant aroma. Applying the non-greasy gel roll-on direct to the problem area, it’s quickly absorbed creating an instant cooling effect. The 75ml PERNATON® Gel Roll-On has an ideal format for travel and sports. The PERNATON® Gel Roll-On allows you to apply the product to the spot without getting your hands dirty. 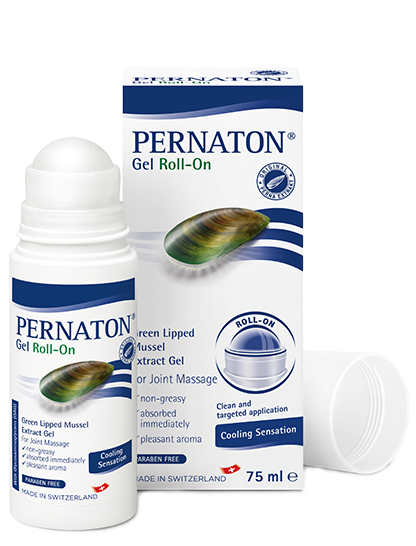 The PERNATON® Gel Roll-On can be used to massage trigger points without the use of your hands and thus add additional relief.